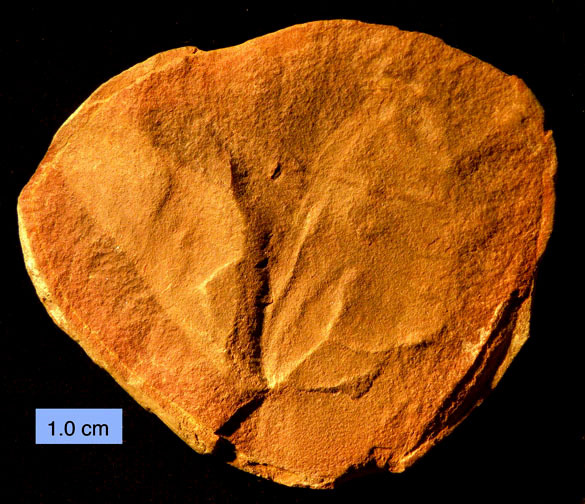 We have several examples of one of the strangest fossils known: Tullimonstrum gregarium Richardson 1966 — otherwise affectionately known as the Tully Monster. The above specimen is from the Francis Creek Shale Member (Carbondale Formation) at Mazon Creek near Chicago, Illinois. Even if it wasn’t labeled this is an easy call: all Tully Monsters are from the same place! The above diagram is from Johnson and Richardson (1969, Fig. 63). It shows just about all we know about the morphology of Tullimonstrum gregarium. It was a soft-bodied animal preserved as an outline in ironstone concretions split in half, so we usually get this long view. They have three body regions: head, trunk and tail. The head has a stalk-like proboscis with a sharp-toothed claw on the end. The anterior of the trunk has two bar organs of unknown function (you can just barely see them on our specimen). The tail has two fins. Above is another of our Tullimonstrum specimens, this one folded inside its concretion. The transverse bar and one of the bar organs is visible. Tullimonstrum cannot be placed in any known phylum. It may be some kind of worm (that’s always easy to say! ), a mollusk, or somehow related to the arthropods, but it has no features sufficient to classify it. It looks a bit like Opabinia, a strange beast from the Cambrian with a similar clawed proboscis. We can at least say both were swimming carnivores! The first specimen of what would become Tullimonstrum gregarium was found by an amateur collector, Francis Tully (pictured above courtesy the Field Museum). 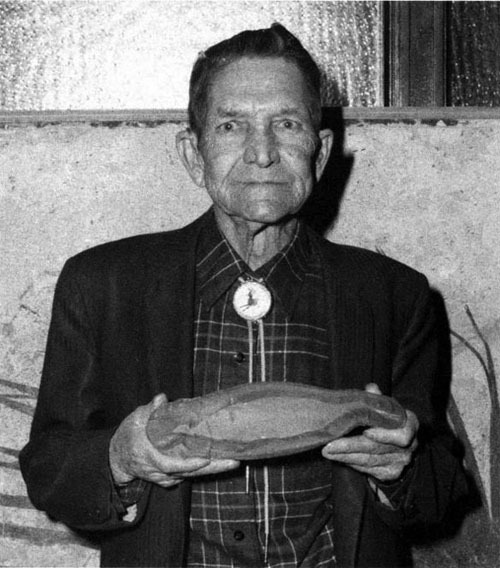 He was collecting in waste piles from strip mines near Chicago, splitting open ironstone concretions. The concretions formed around dead and decaying organisms in a shallow embayment during the Late Carboniferous. They preserved impressions and outlines of soft tissues, making the Mazon Creek Fauna a famous lagerstätte. A charismatic fossil like the Tully Monster gets plenty of attention. One of the best visual reconstructions is on the sides of U-Haul trucks! 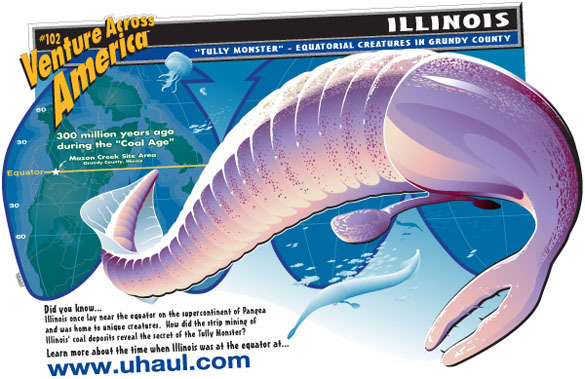 It is also the state fossil of Illinois. This entry is posted, by the way, on the one-year anniversary of Wooster’s Fossil of the Week. It is the 53rd in the series. 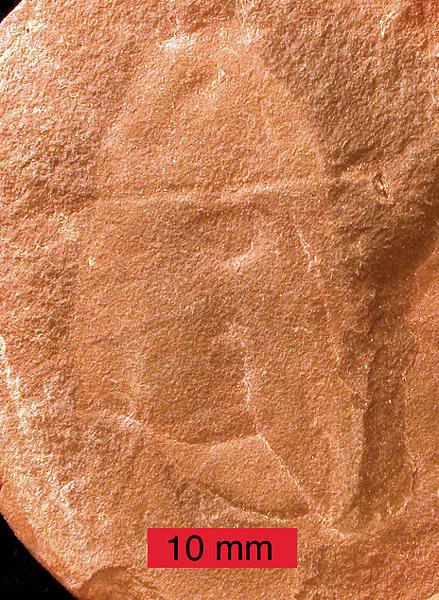 Here is the very first post, which was on a gorgeous little Devonian auloporid. Johnson, R.G. and Richardson, E.S. 1969. Pennsylvanian invertebrates of the Mazon Creek Area, Illinois: the morphology and affinities of Tullimonstrum. Fieldiana: Geology 12: 119-149. Richardson, E.S., Jr. 1966. Wormlike fossil from the Pennsylvanian of Illinois. Science 151 (3706): 75–76.